Rivendell Commons . . . a wonderful location for your meetings, luncheons, dinners, seminars or conventions. Located within the Happy Creek Industrial Park, in scenic Front Royal, Virginia, Rivendell offers a convenient and modern facility to host your corporation's special event. Rivendell Commons greets you with an elegant, two-story exterior portico and welcoming, tiled lobby. Choose from three meeting facilities, including the classic style of the tiled Eastview Room or the contemporary style of the carpeted Rivendell Lounge. For larger events such as conventions and trade shows, the Sport Court Arena is equipped to accommodate your requirements. Additionally, the Cardio/Fitness Room, Hydro-Therapy Spa and Sport Court Arena are available for companies desiring these options. Rivendell Commons can also arrange team building sessions and athletic competitions, as well off-site recreational pursuits such as canoeing, hiking, biking, golfing and sightseeing throughout Front Royal, Warren County and the Shenandoah Valley. We want your Business Meetings, Seminars and Special Events! 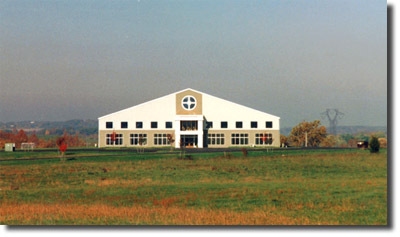 Rivendell Commons, located in the Happy Creek Industrial Park, has hosted many meetings and special events for local and national companies, educational institutions, churches, civic organizations and many others. The reaction from all participants is the same... "We didn't even know you were here! ", but now that they do, they continue to return to Rivendell Commons for all their business meeting and special event needs. The reasons may vary, but they have all found the most important aspect is our dedication to our guests. From room layout to equipment, Rivendell Commons does all the work, so you can relax, enjoy and take all the credit. We are now serving a need within Warren County for a modern, clean and convenient facility to host business functions and special events. There is no longer a reason to settle for the dark and dank lodges, firehouses and banquet halls of the past. What more can I say to convince you to come by and inspect Rivendell Commons? Ideal for small to medium sized business meetings, seminars, conventions and special events. Choose from the Eastview Room, Rivendell Lounge or the Sport Court Arena. Other Rental Areas currently being developed, within the facility. Ask for completion dates and reservation information. Rivendell Commons offers several Add-On Options for your guests and associates to enjoy. We have the ability to develop other options to customize your meetings or special events. Please do not hesitate to ask about any options you would like to add. Includes one hour group access to the Cardio/Fitness Room and Hydro-Therapy Spa. Equipment includes Stationary and Recumbent Bikes, Climbers, Cybex Weight Machines and Free Weights. Includes use of the multi-purpose Sport Court Arena for sports and recreation. The Sport Court is ideal for team building sports such as basketball, volleyball, soccer, floor hockey, kickball or wiffleball. Activity Coordinators and Equipment available at extra cost. The Shenandoah Valley offers guests many recreational pursuits. Activities as simple as hiking the Shenandoah National Park and as challenging as rock climbing or mountain biking in George Washington National Forest is available to make your meeting or special event much more memorable.